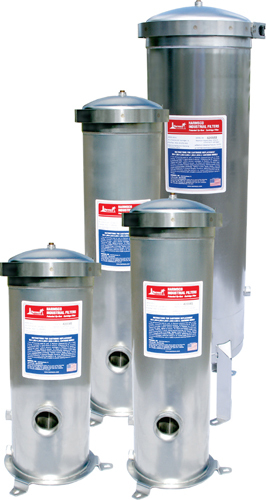 Harmsco Band-Clamp Stainless Steel Filter Housings | Applied Membranes Inc.
Harmsco Band Clamp Multi-Cartridge Filter Housings utilize patented Up-Flow Filtration while simplifying installation and maintenance. Housing up to 6 triple filters and with recommended flow rates up to 54 GPM, Harmsco Band-Clamp housings are ideal for use in high-flow applications. The adjustable top plates allow these filters to accept both Harmsco & Industry Standard length filter cartridges. Band-Clamp Design for easy-opening and cartridge lifting rods make cartridge removal and replacement fast and easy. 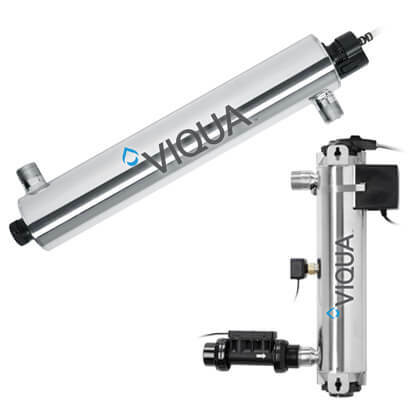 Adjustable top plates allow for different filter lengths, allowing for flexibility in replacement cartridge selection. Protection of RO System and/or downstream equipment in high flow applications.